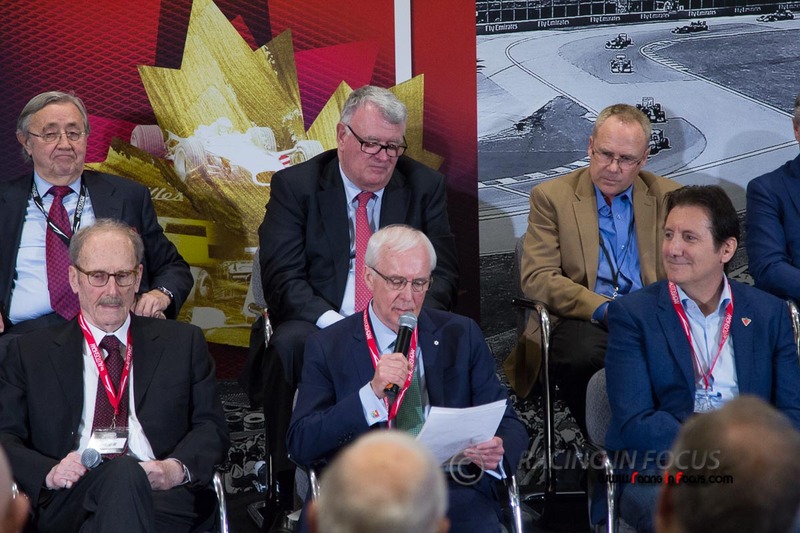 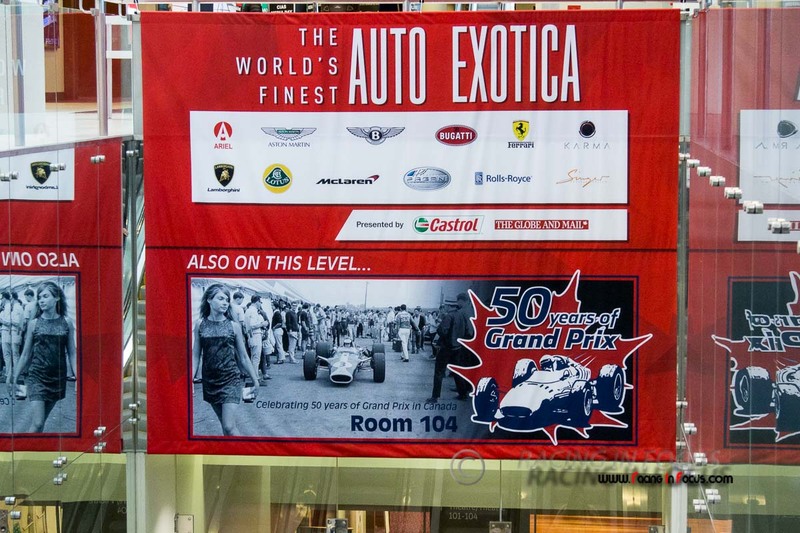 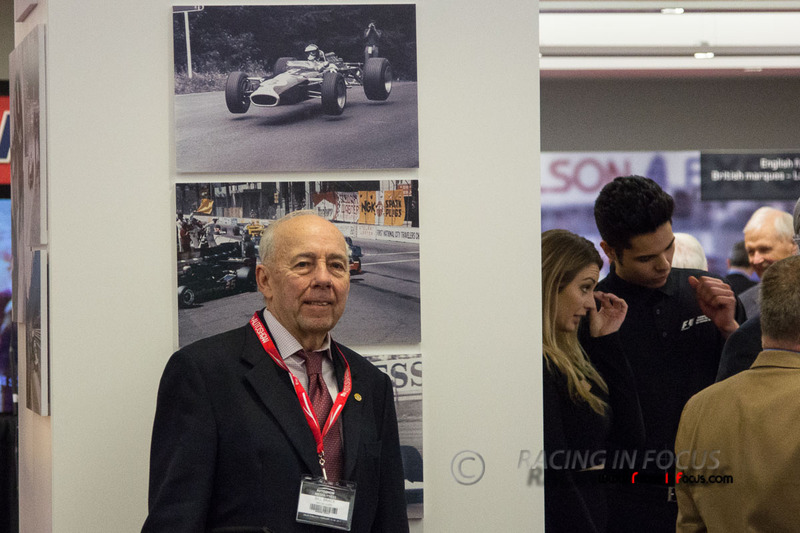 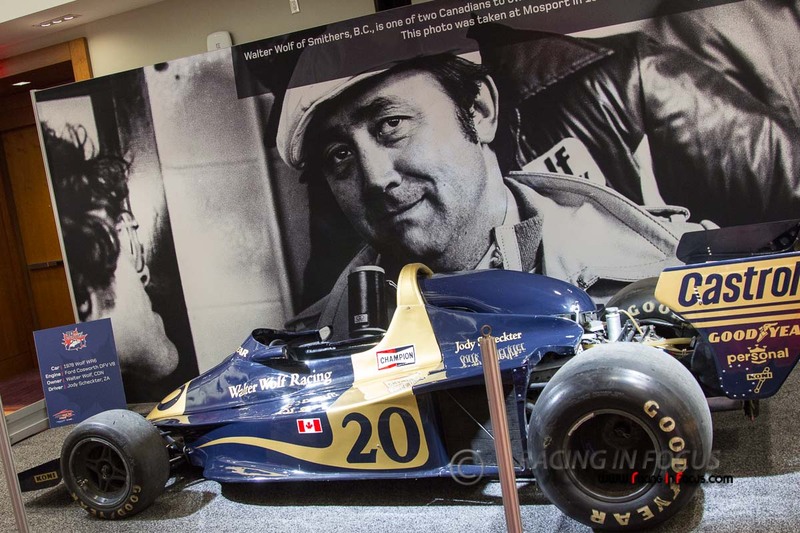 Toronto Star’s Norris McDonald hosted a sneak preview of the 50 Years of Grand Prix Racing in Canada special exhibit that is on display throughout the Canadian International Auto Show on February 17-26, 2017. 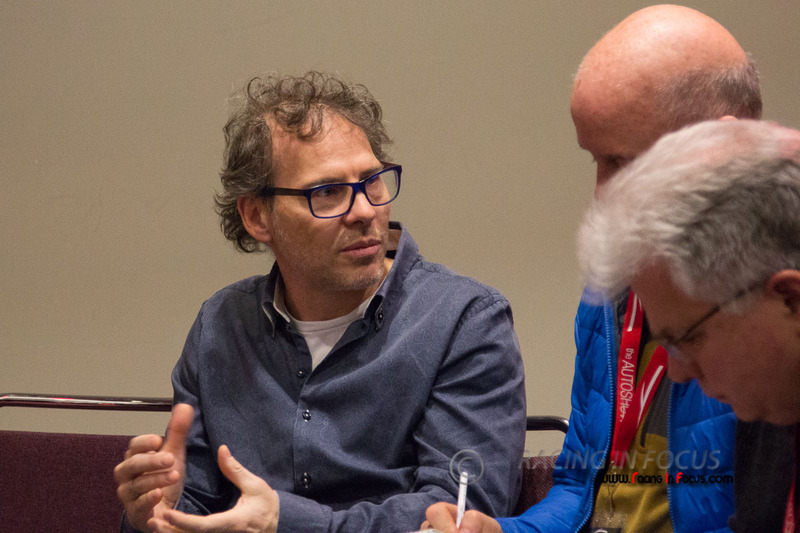 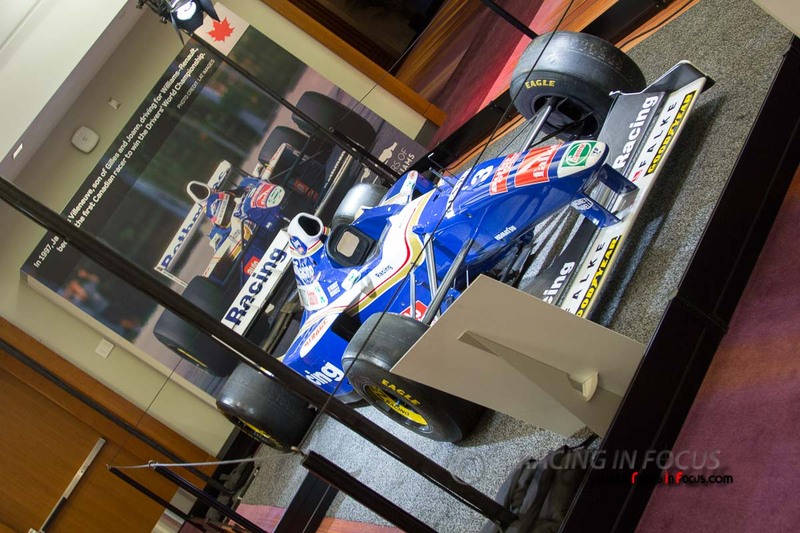 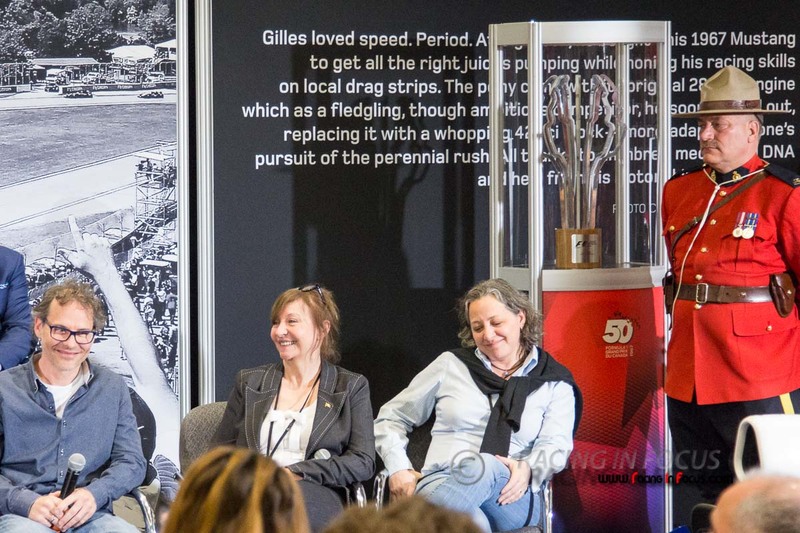 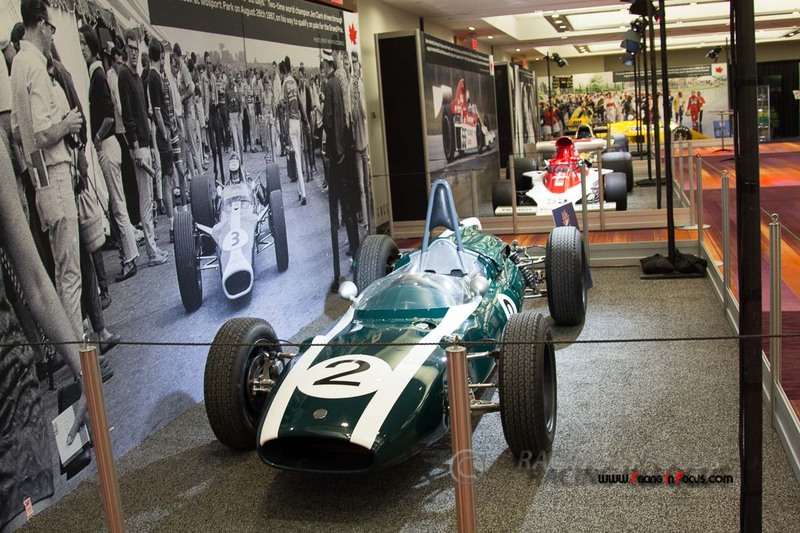 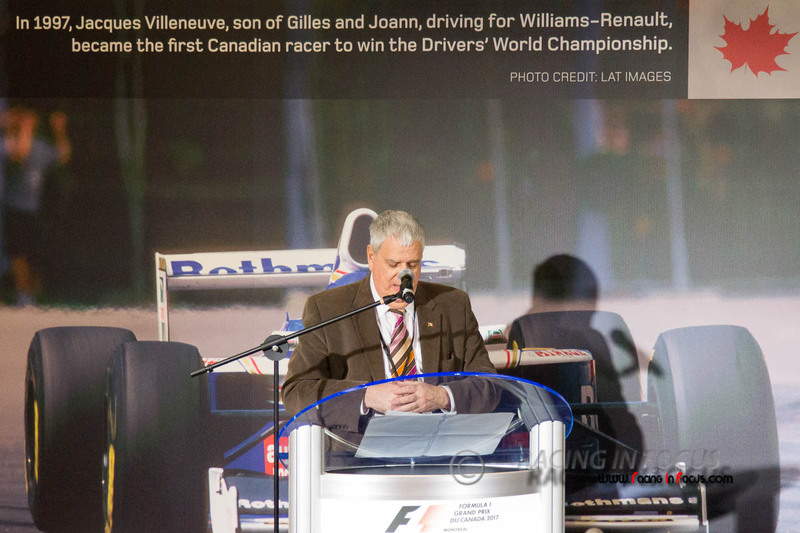 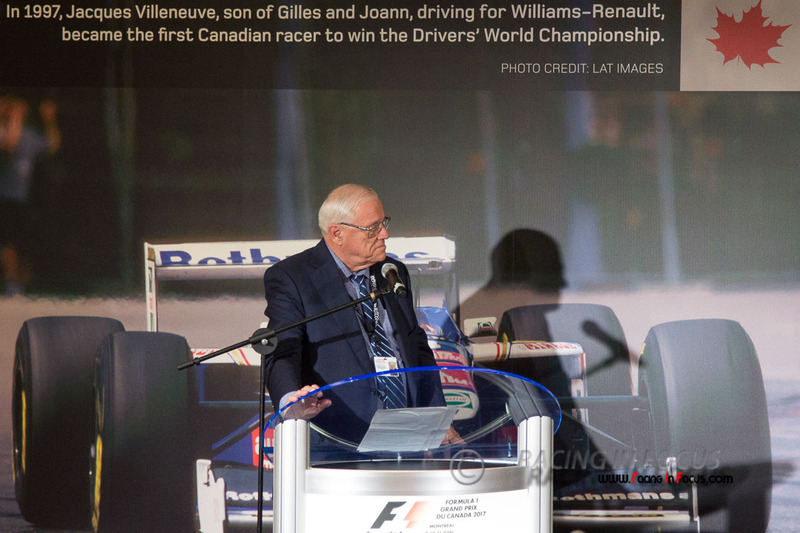 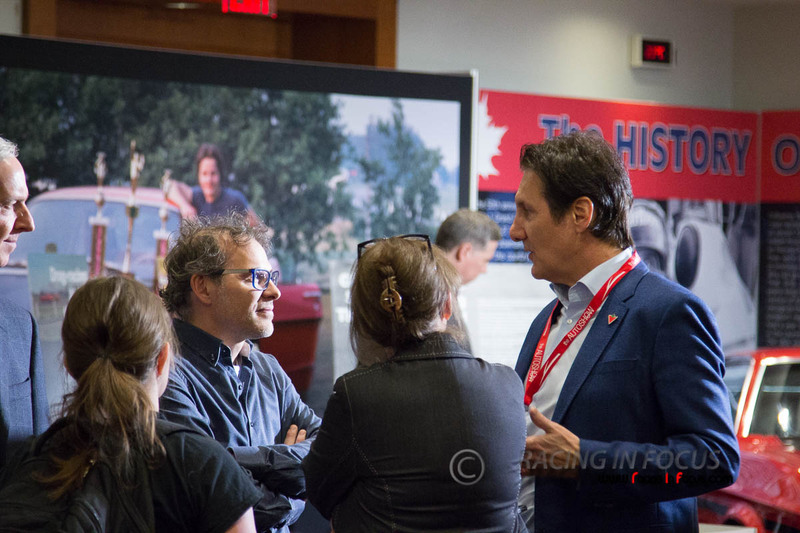 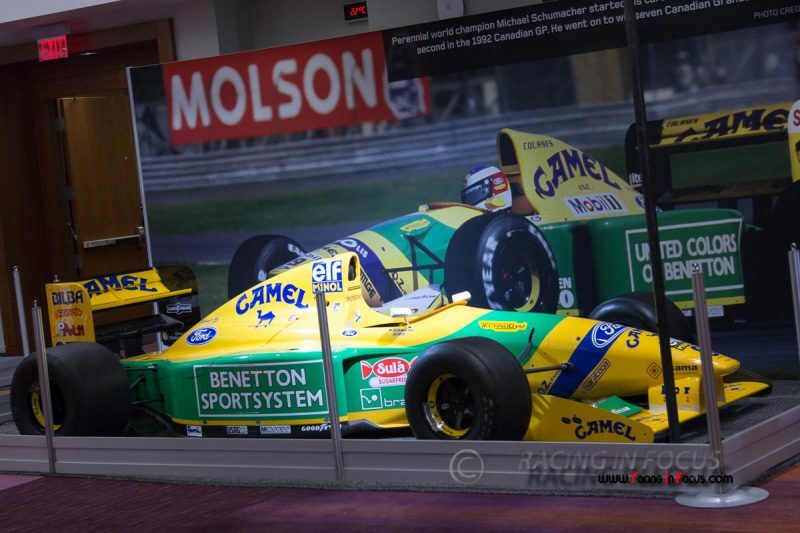 Racing legend Jacques Villeneuve, the only Canadian driver to ever win the Formula 1 World Championship, helped the Canadian International Auto Show launch an exhibit celebrating Canada’s rich history of Grand Prix racing over the past 50 years. 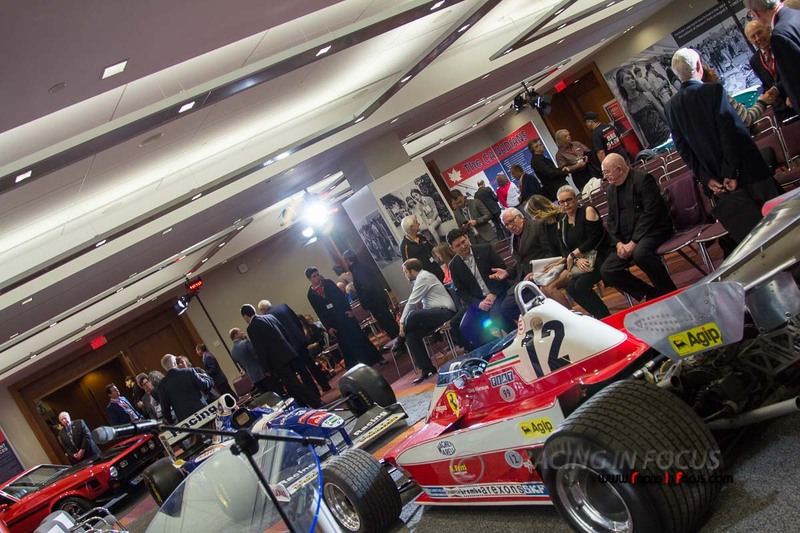 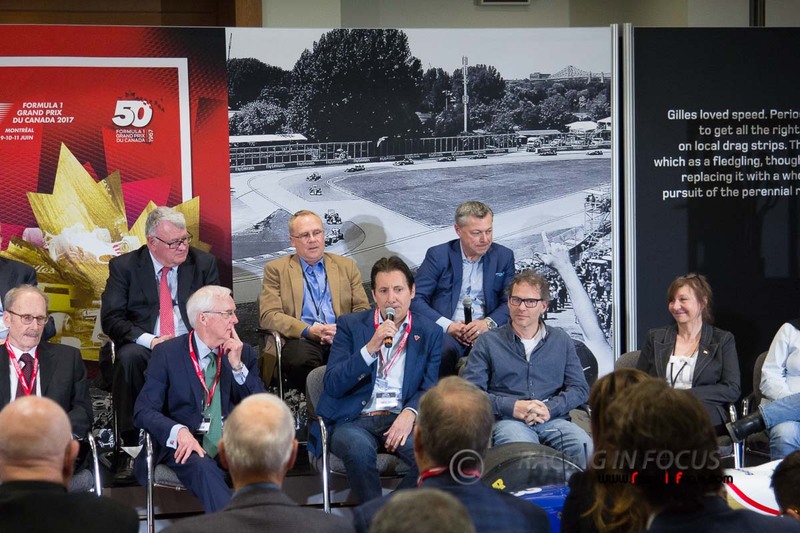 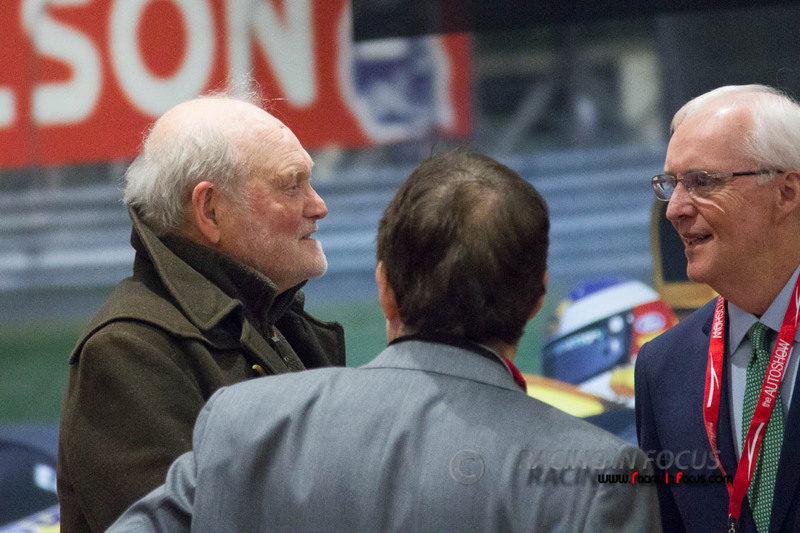 Surrounded by Grand Prix memorabilia — including two cars that belonged to his famous racing father, Gilles — Villeneuve told the large audience of media and guests that he vividly remembers the day he made history by edging past German superstar Michael Schumacher to win the F1 Championship. 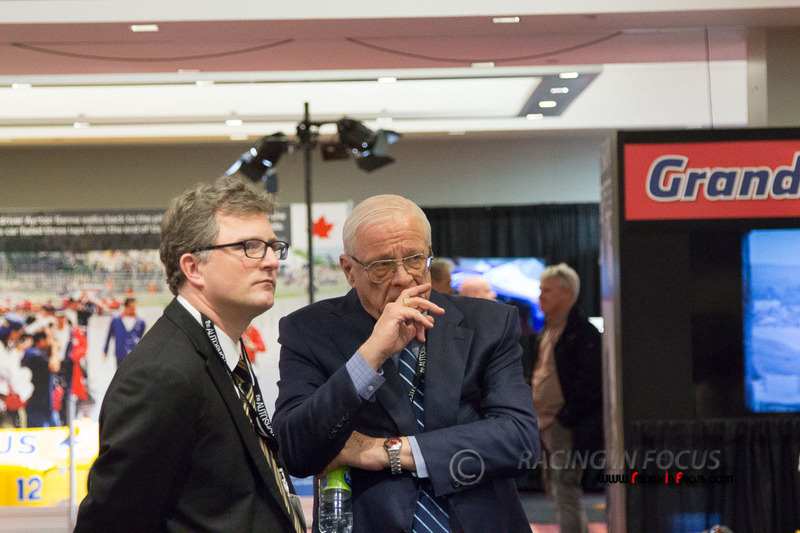 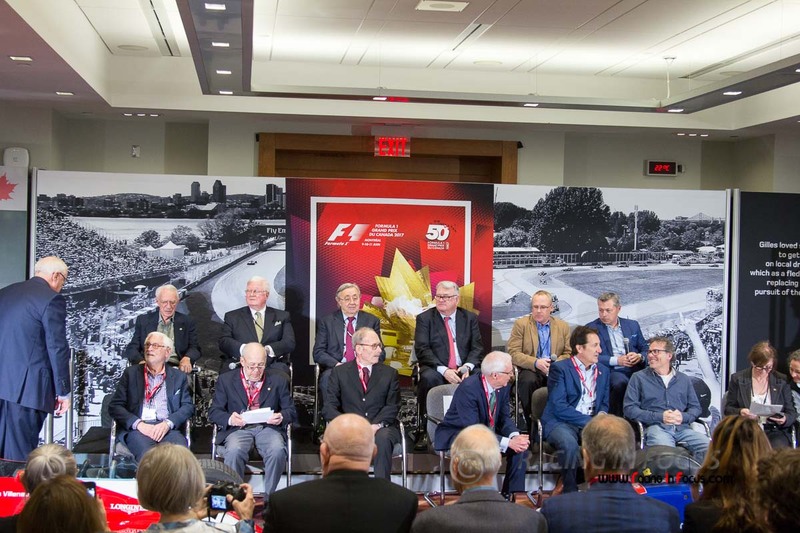 Bob Hanna the first executive director of the Canadian Automobile Sports Clubs, President of ASN Canada FIA and designer of the Circuit Gilles-Villeneuve Roger Peart, Canadian Motorsport Hall of Fame’s Dr. Hugh Scully, three time winner of Formula Atlantic and former Canadian F1 driver Bill Brack, former Canadian F1 driver Allen Berg, former Formula 1 broadcaster Brian Williams, Walter Wolf former Canadian Team Owner, Rod Campbell first F1 GP announcer and Manufacturer/Driver Promoter, Canadian Tire Motorsport Park’s Ron Fellows, past Canadian Grand Prix president Normand Legault and current Canadian Grand Prix president François Dumontier and Jacques Villeneuve’s mother Joann and sister Melanie. 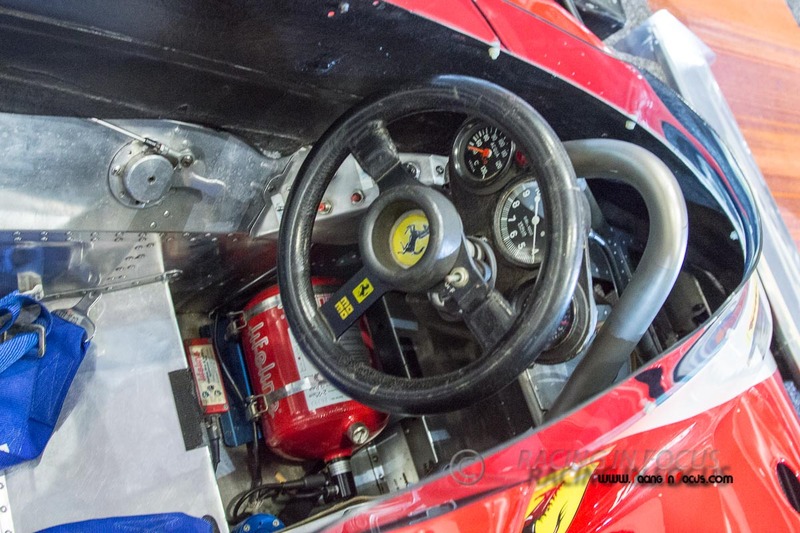 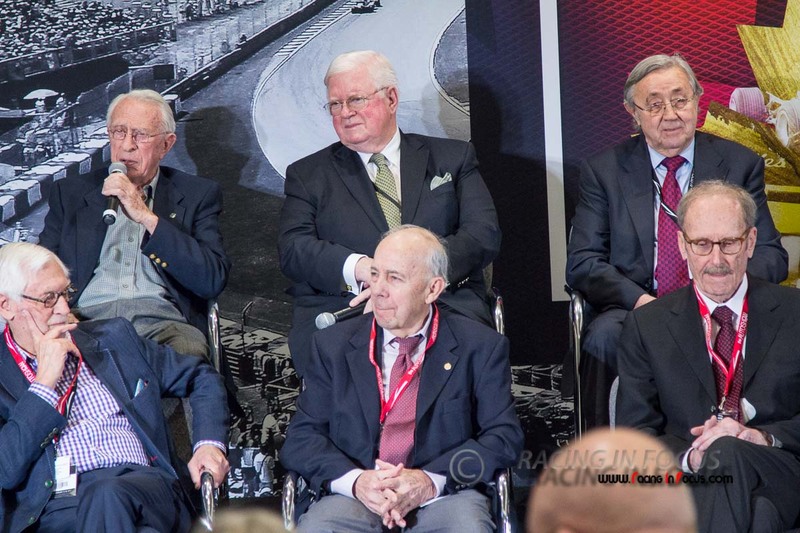 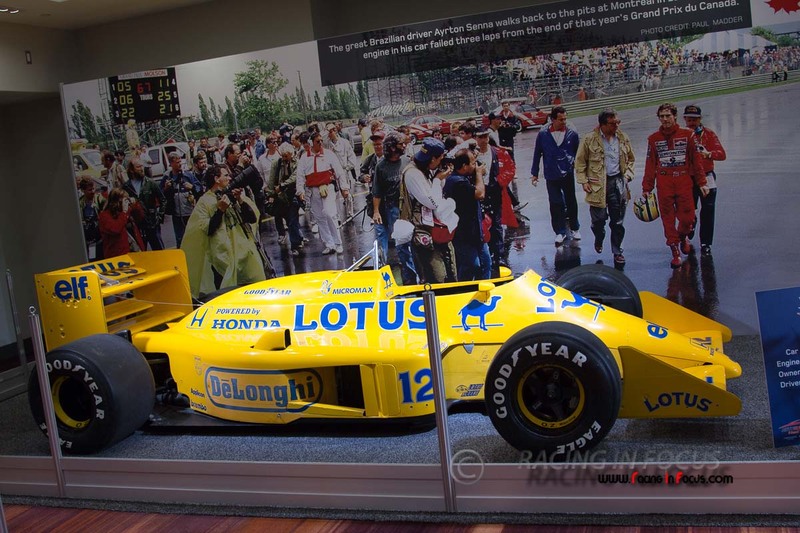 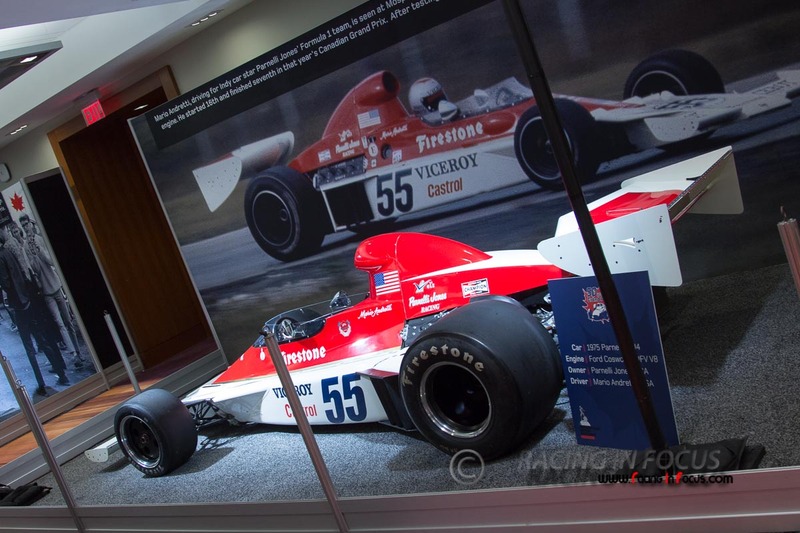 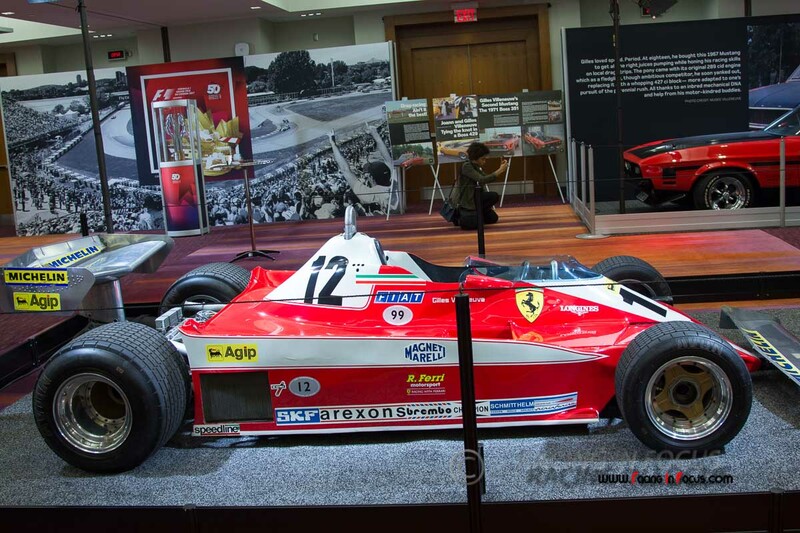 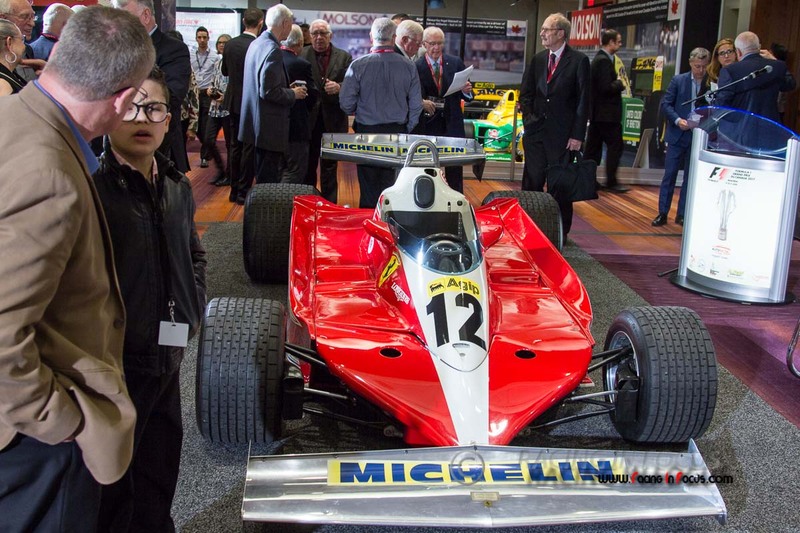 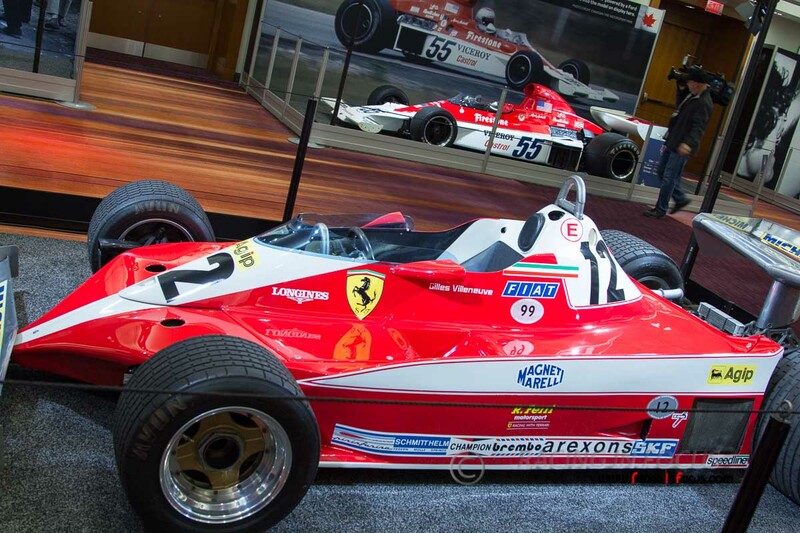 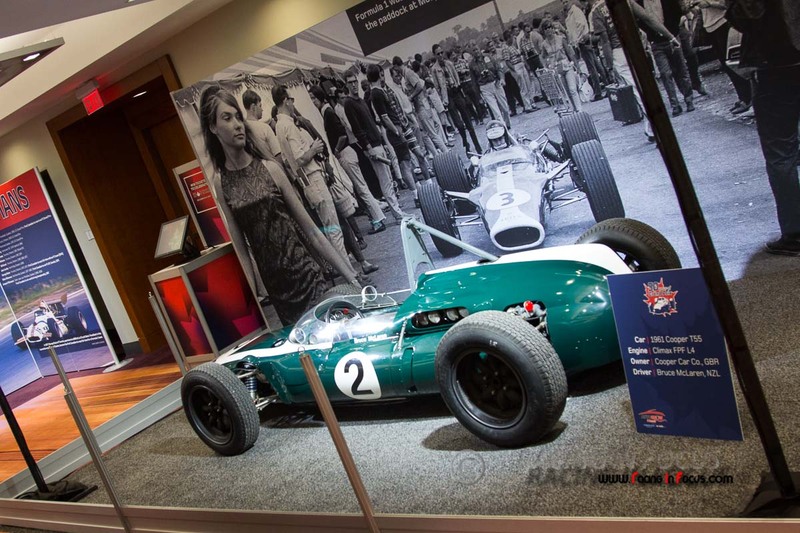 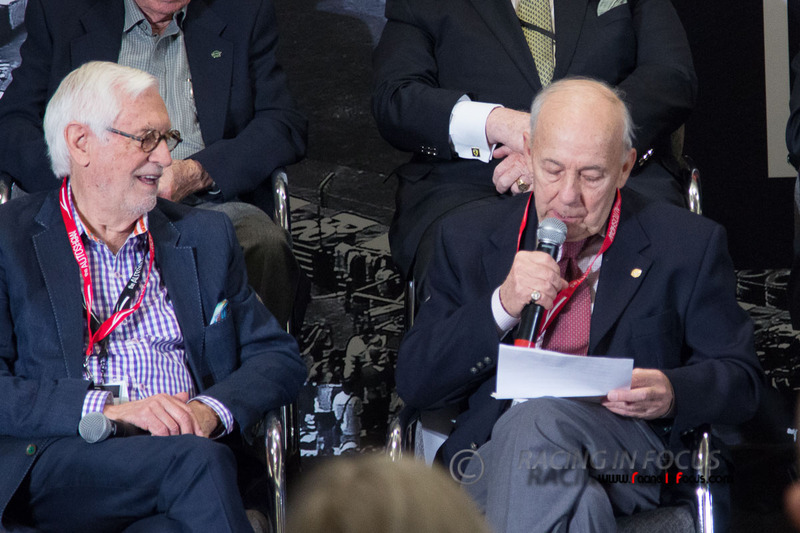 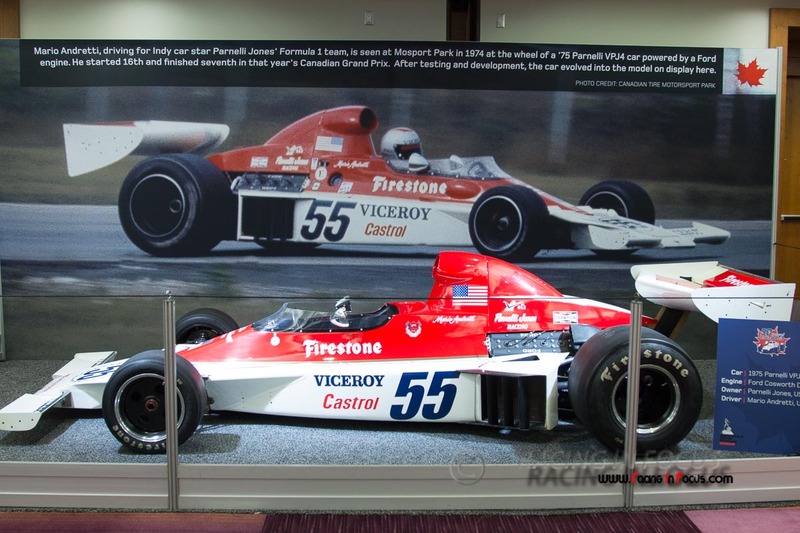 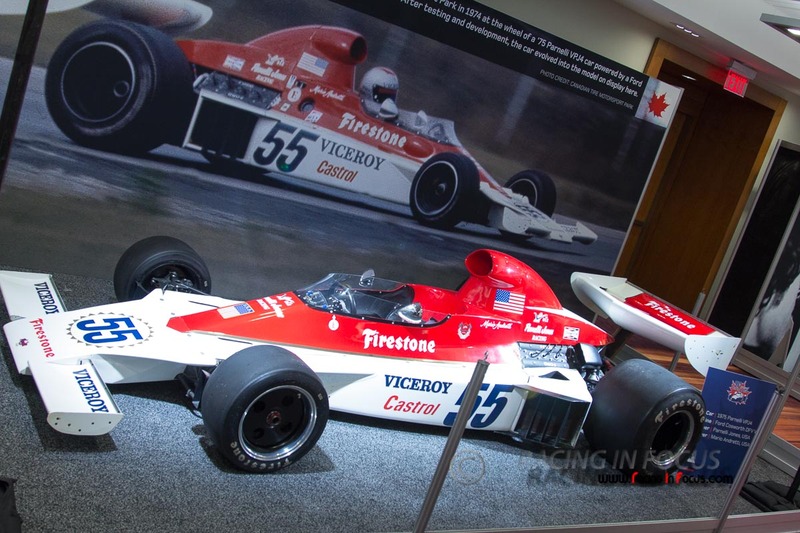 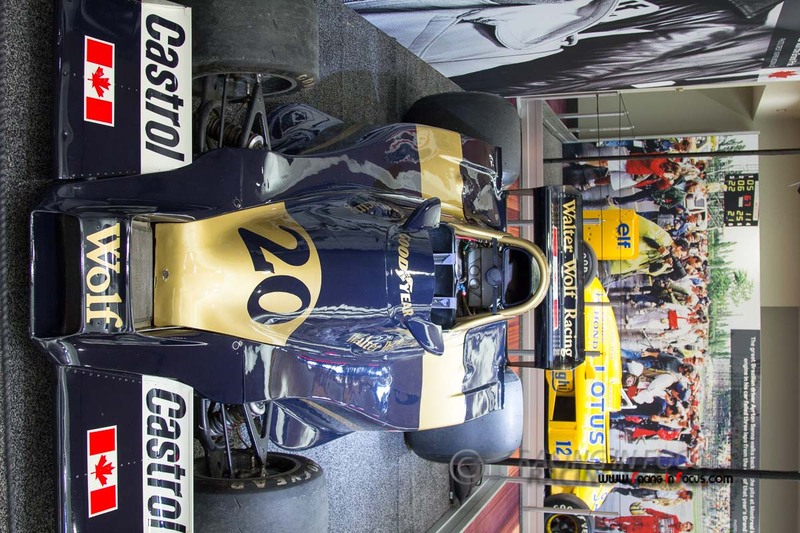 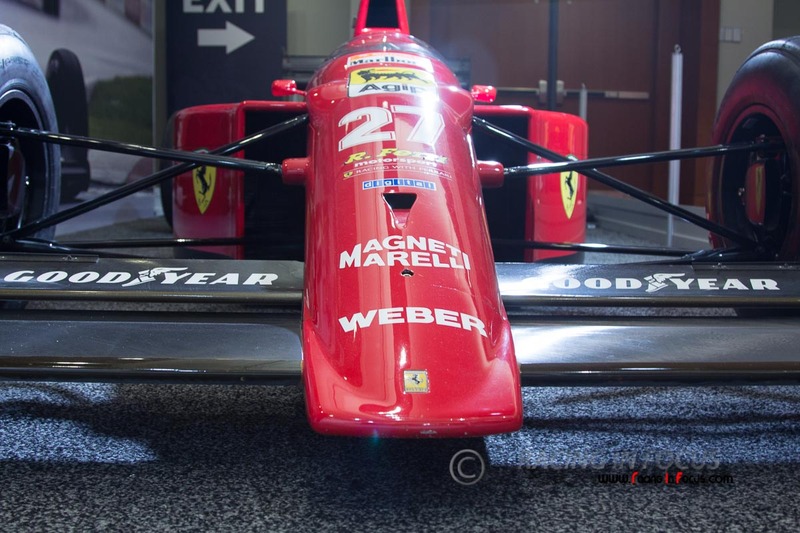 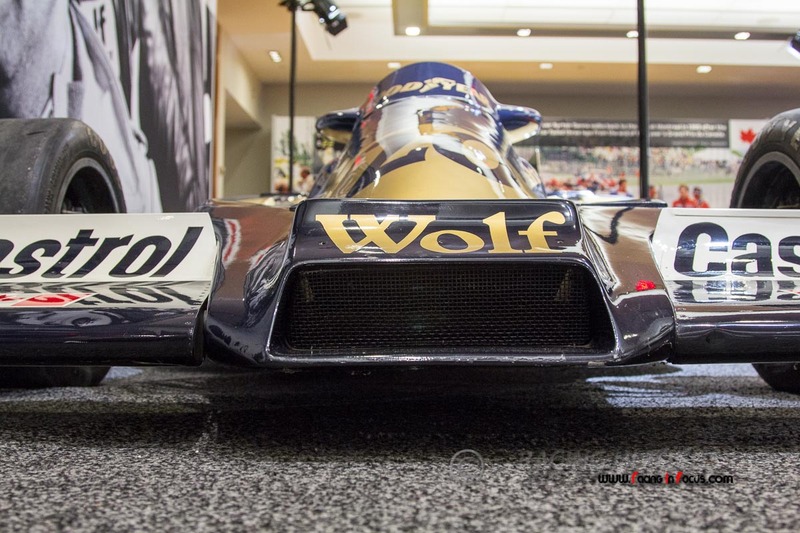 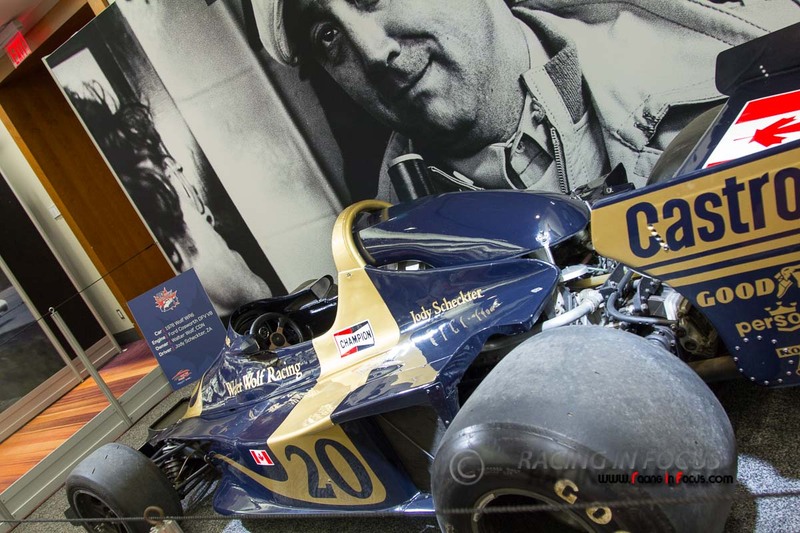 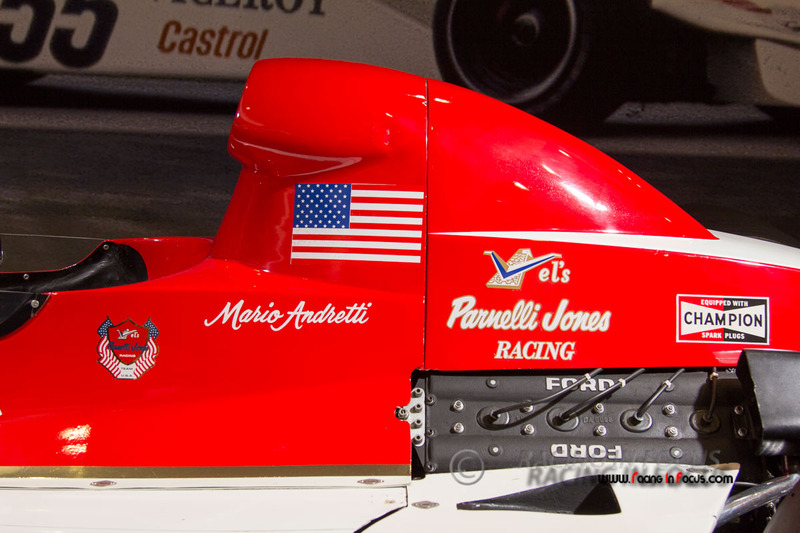 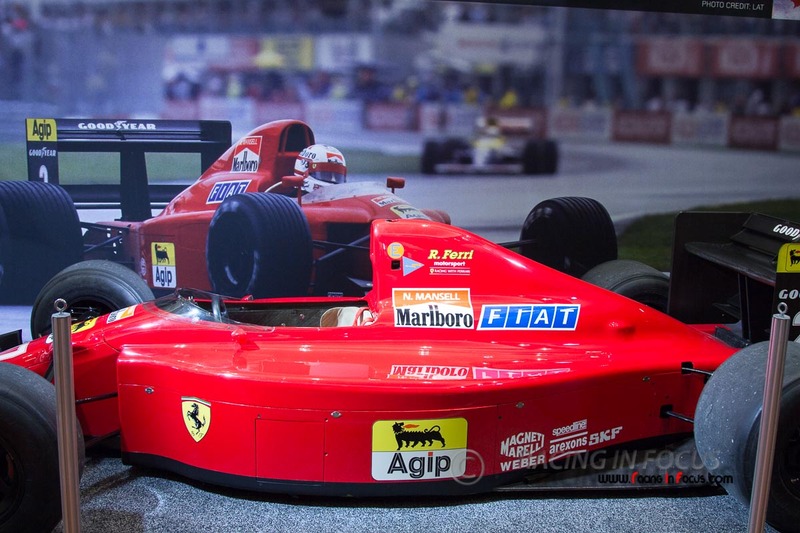 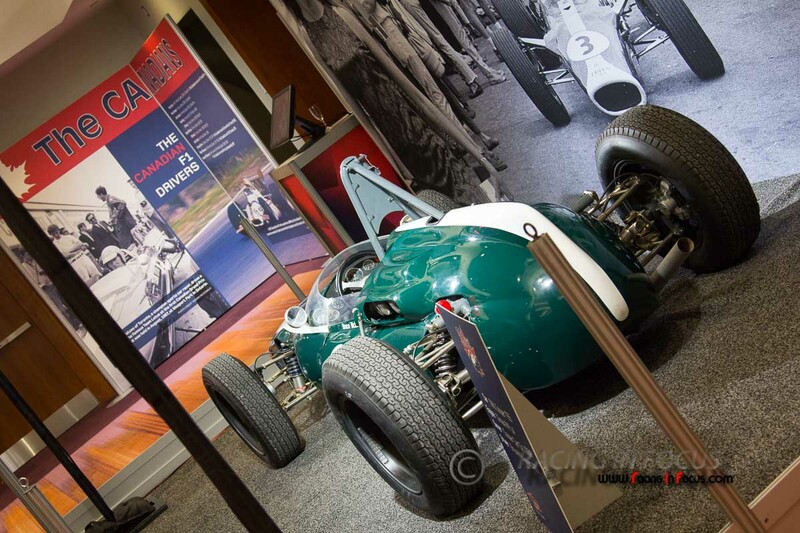 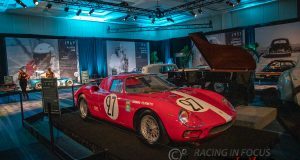 The Auto Show showcase of Grand Prix memorabilia, imagery and iconic cars includes many fascinating and important pieces from the Villeneuve clan’s storied racing history. 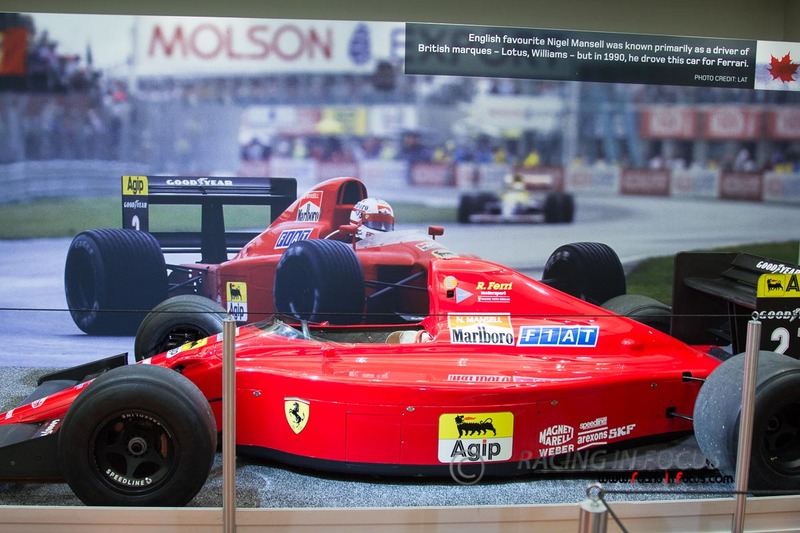 The centerpiece of this special exhibit is a 1978 Ferrari driven by Jacques’ late father, on loan from Ferrari of Ontario, and the 1997 Williams driven by Jacques when he won the F1 Championship crown. 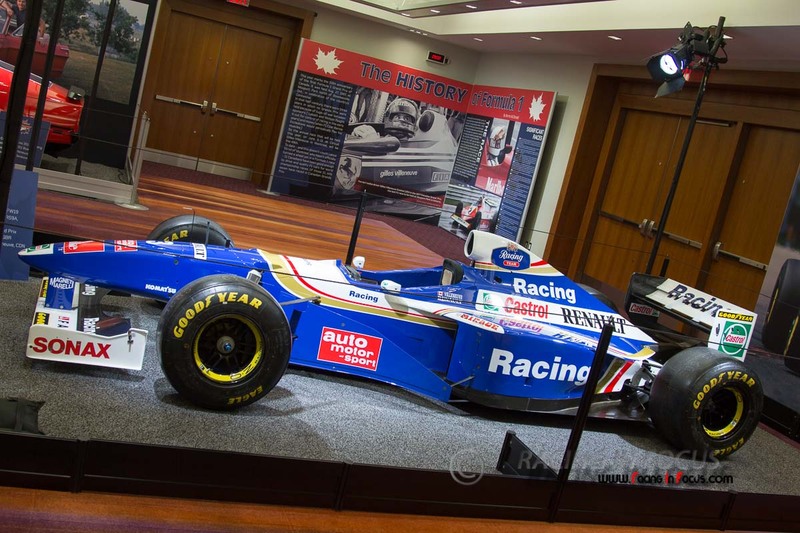 It is the first time the car has been in North America since that 1997 season (it normally resides at the Williams Historic Museum in the UK), and still has on it the tire mark from where Schumacher tried to run him off the track in that final race. 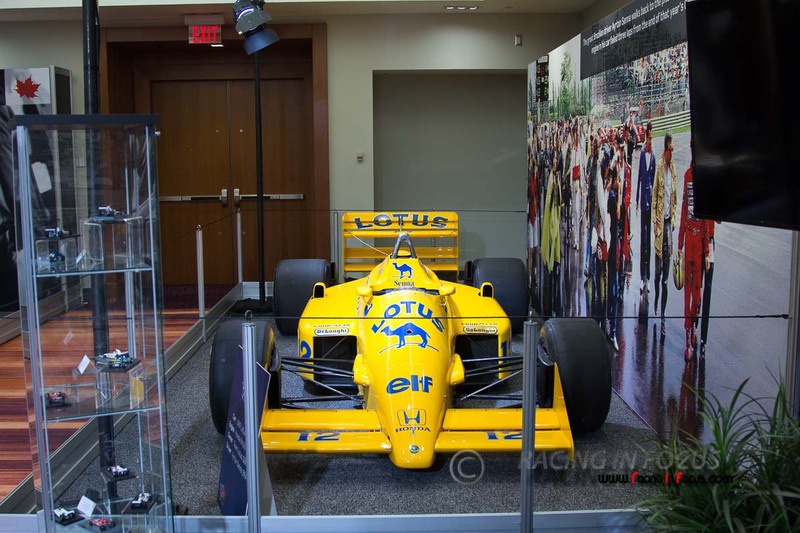 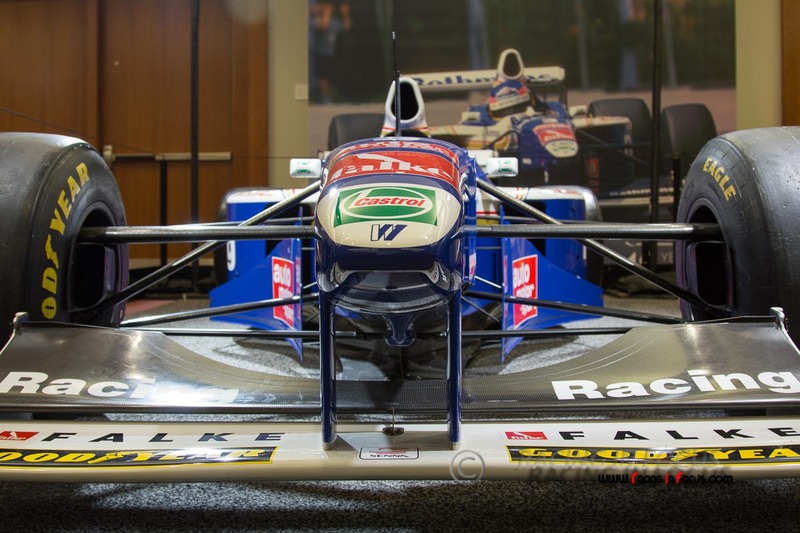 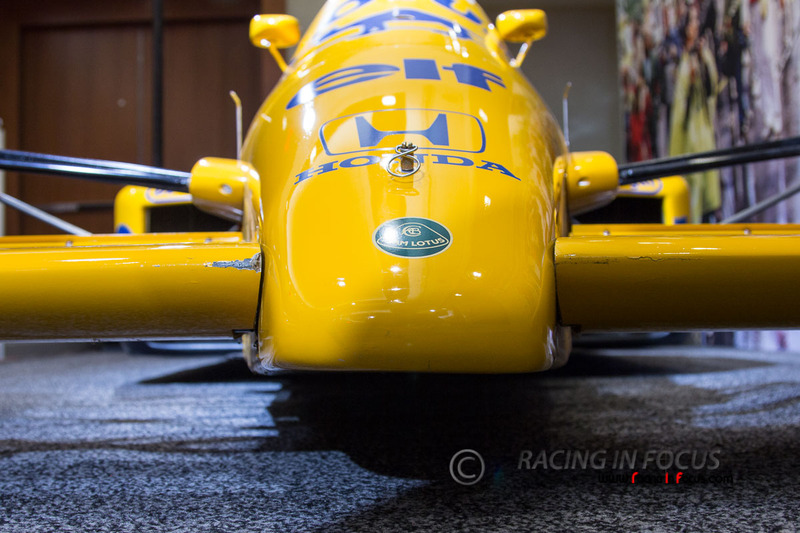 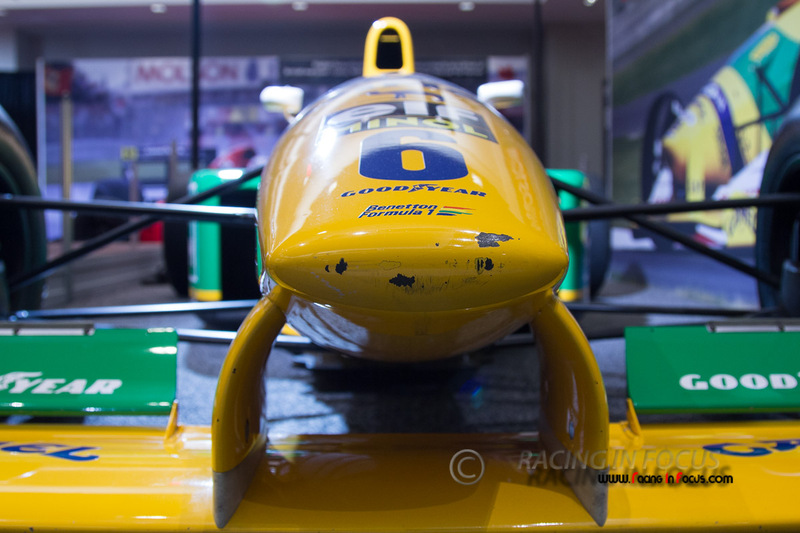 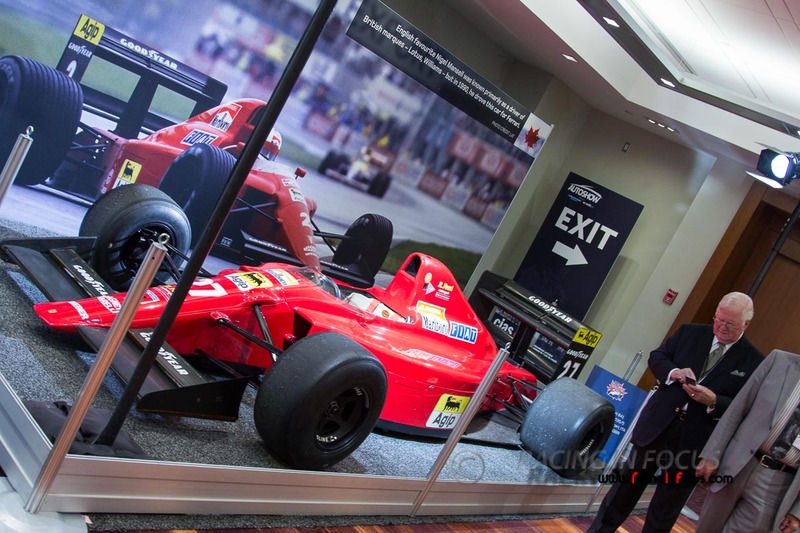 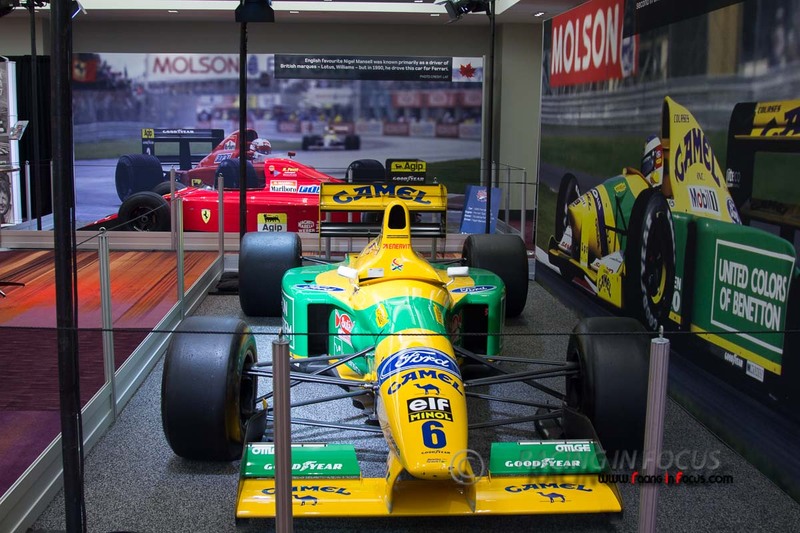 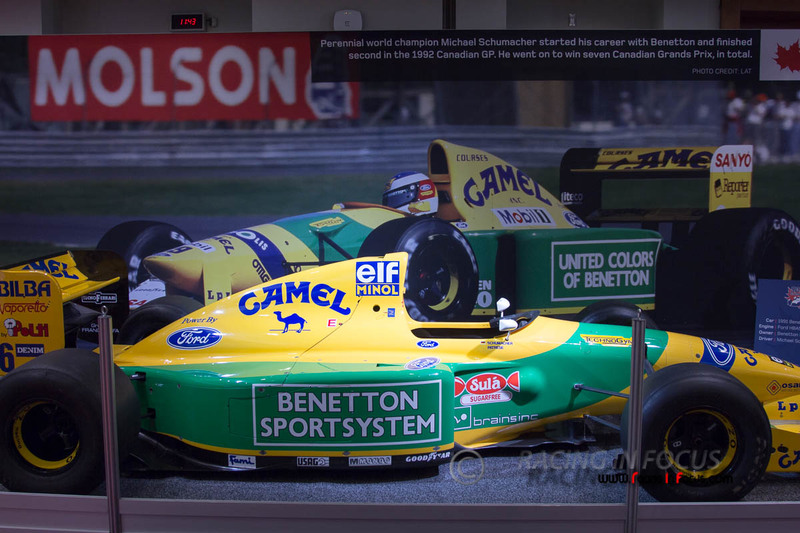 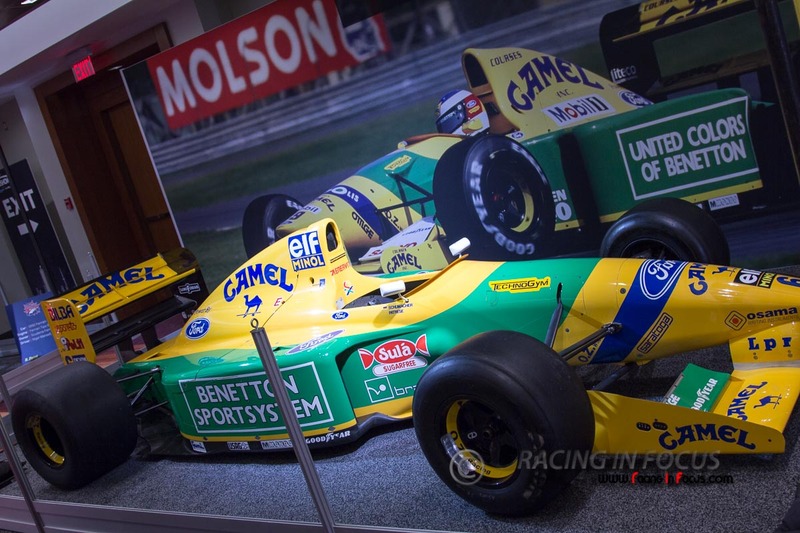 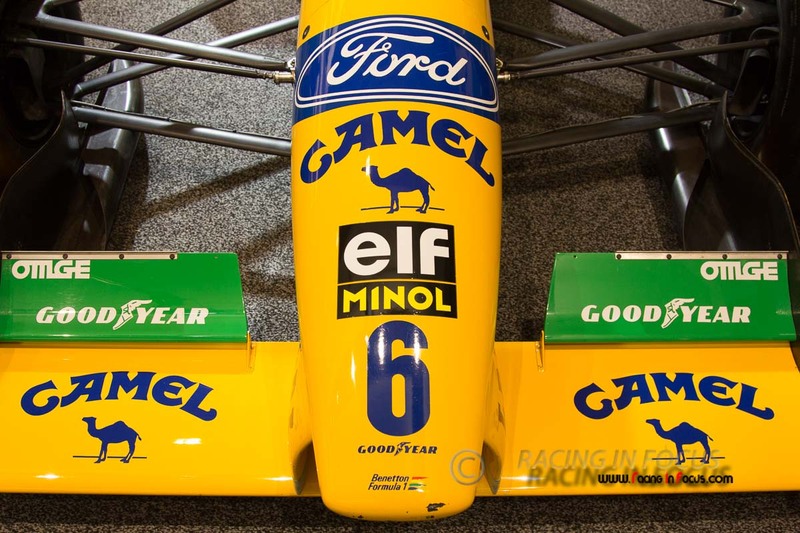 A 1991 Benetton driven by the German star — a seven-time Canadian Grand Prix Champion — is on display, one of two cars on loan from the Indianapolis Motor Speedway Museum for the exhibit. 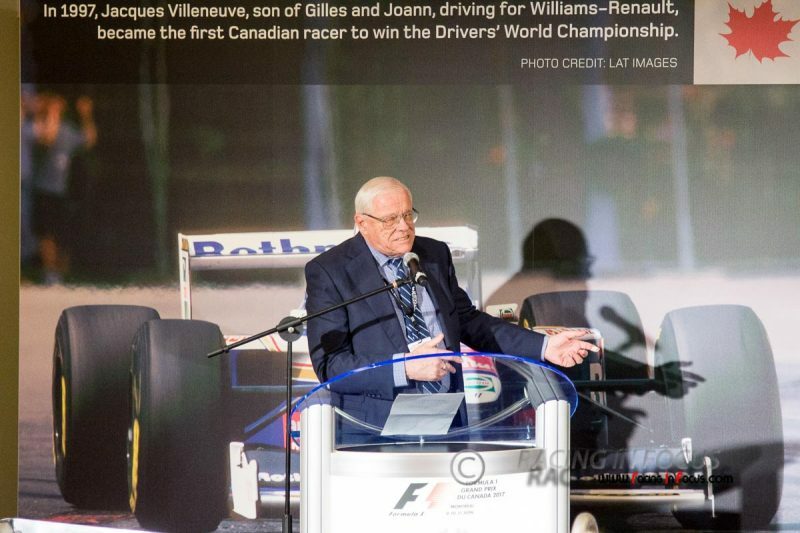 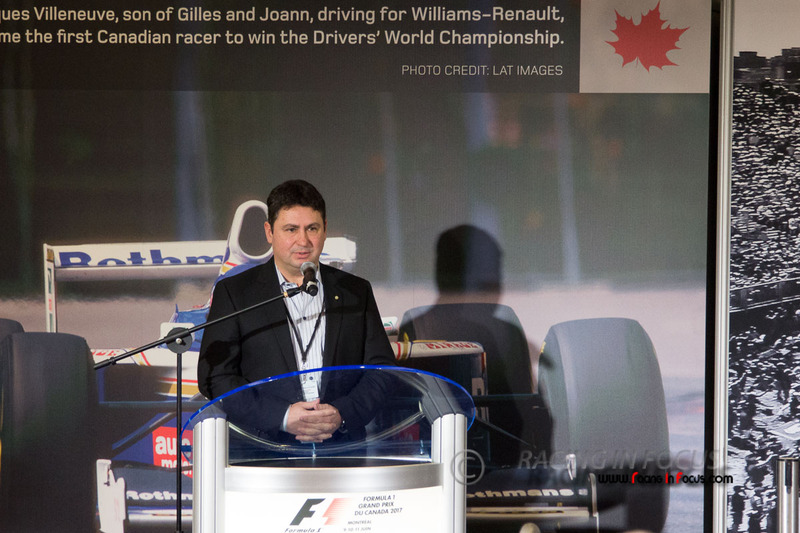 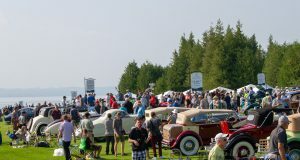 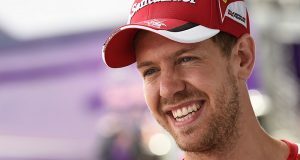 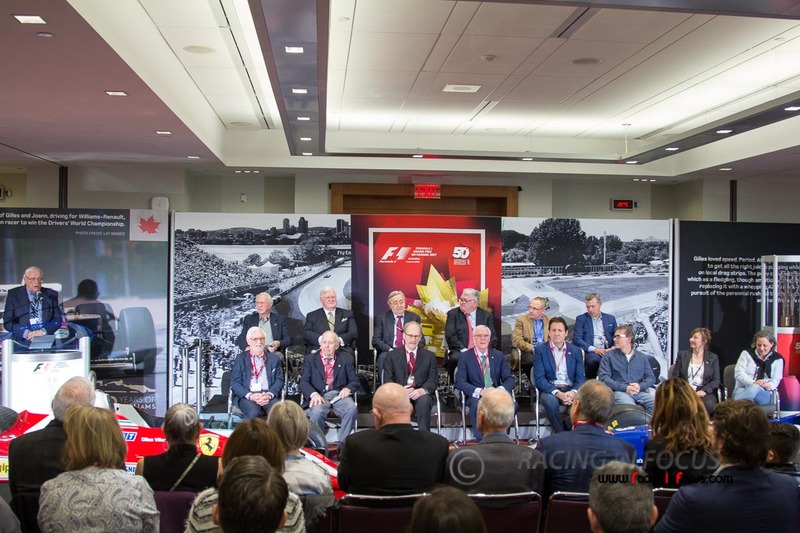 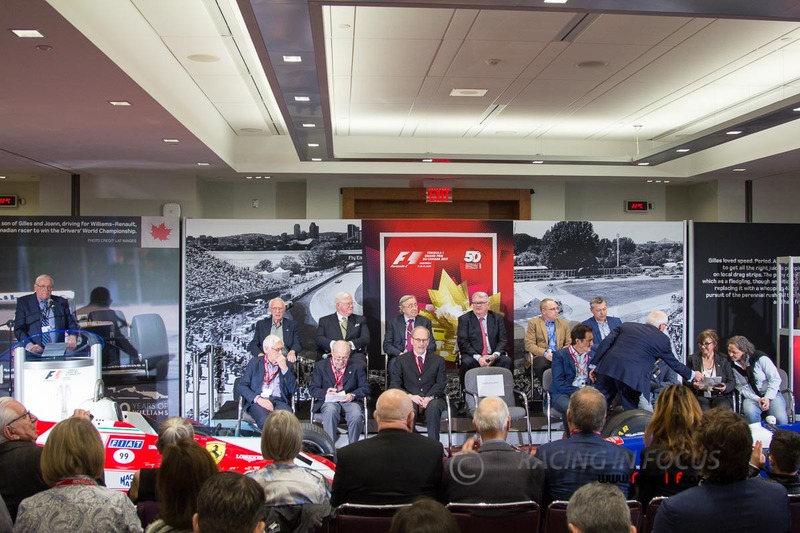 Furthermore, two of Canada’s historic Grand Prix venues – Canadian Tire Motorsport Park and the Circuit Gilles Villeneuve – will be present displaying some fascinating documentaries from those very first races, and offering Show goers opportunities to win race tickets, including a pair of grandstand tickets to the 2017 Canadian Grand Prix to be given away at each day of the Show. 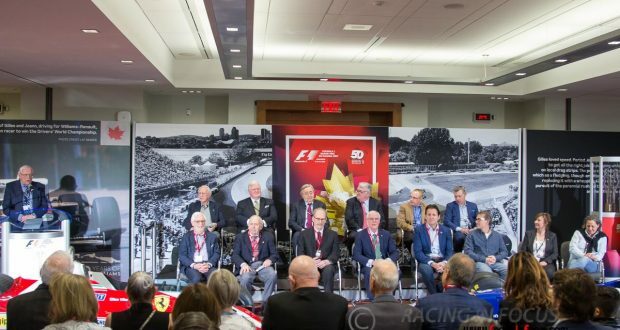 Other cars featured in 50 Years of Grand Prix in Canada, include: 1961 Cooper Climax T55 driven by Bruce McLaren, 1974 Parnelli driven by Mario Andretti, 1978 Walter Wolf WR6 driven by Jody Scheckter, 1987 Lotus 99T/5 driven by Ayrton Senna, and 1990 Ferrari 641 driven by Nigel Mansell. 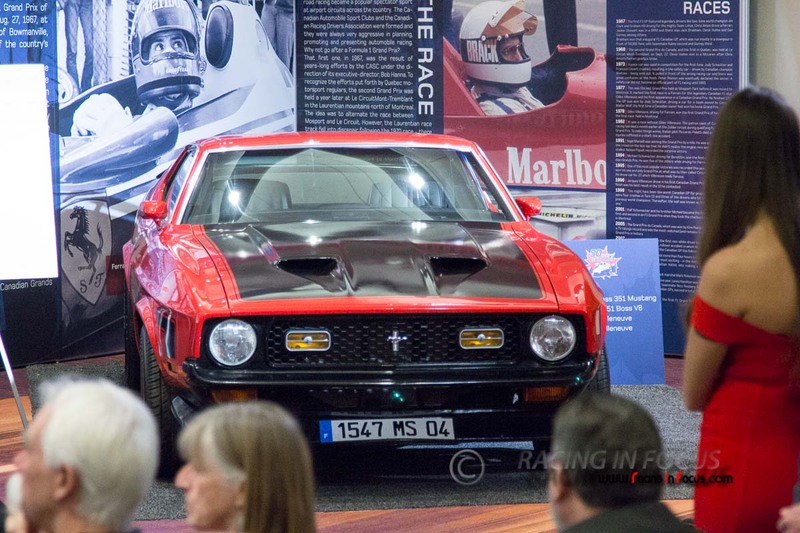 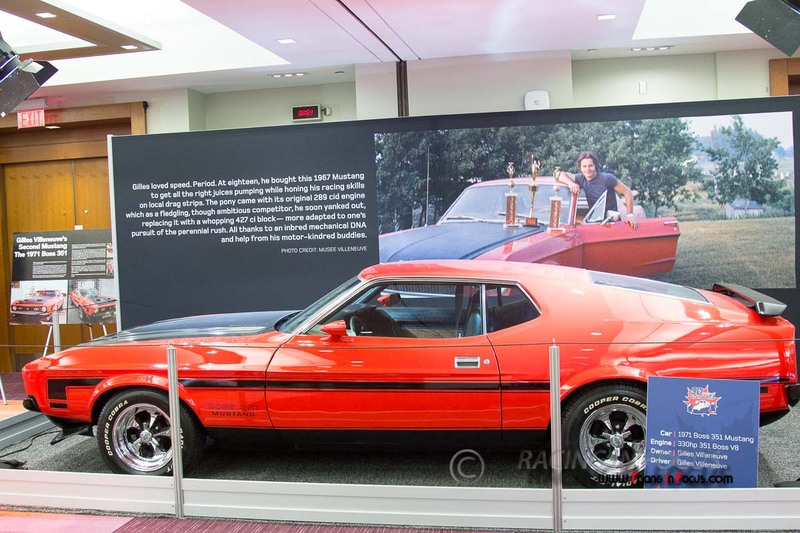 A newly refurbished 1971 Boss Mustang – complete still with Monaco plates – owned by Gilles Villeneuve is being displayed for the very first time courtesy of Headrush Motors and Joann Villeneuve. 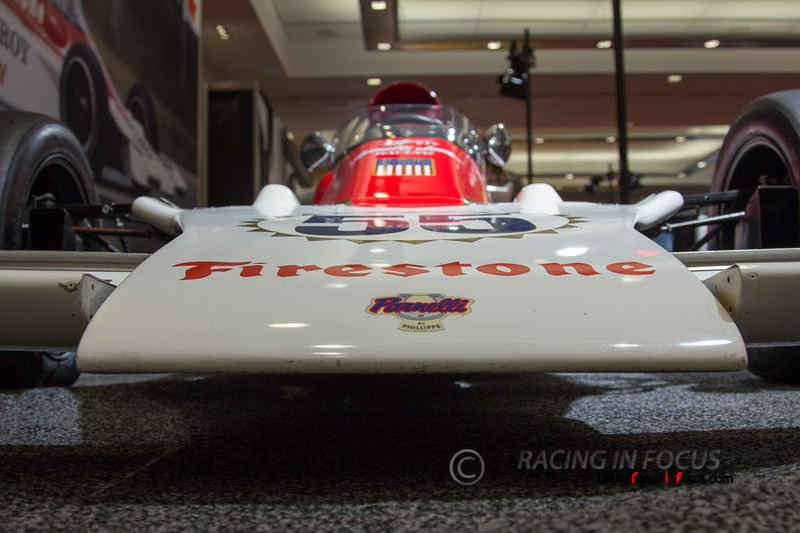 Please visit our Photo Coverage of the 2017 Canadian International Auto Show. 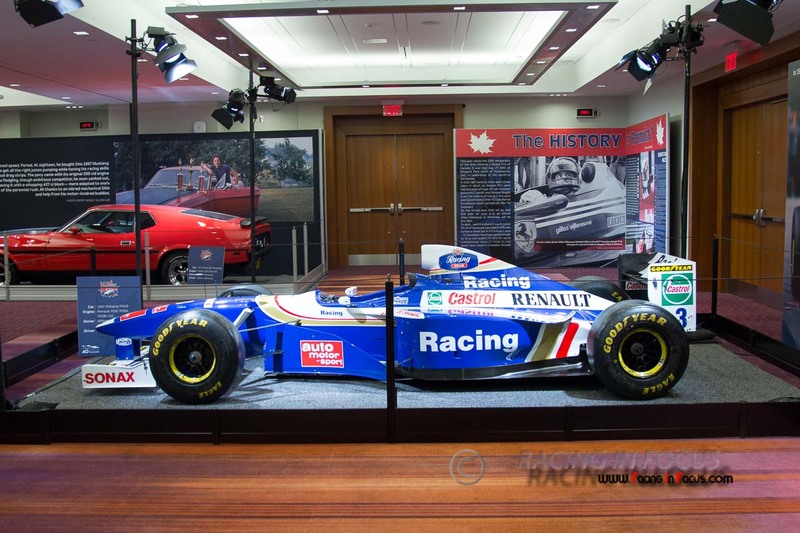 The Canadian International Auto Show will be held at the Metro Toronto Convention Centre between February 17th and 26th, 2017. 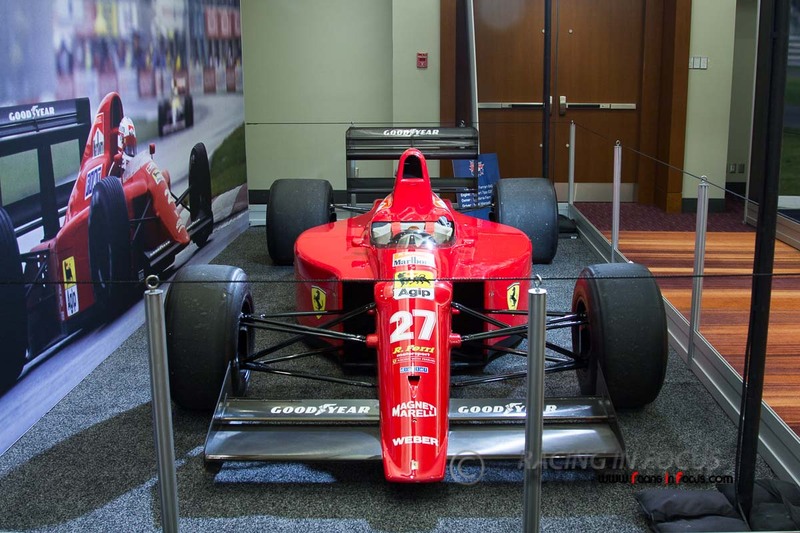 For event info and tickets please visit autoshow.ca.